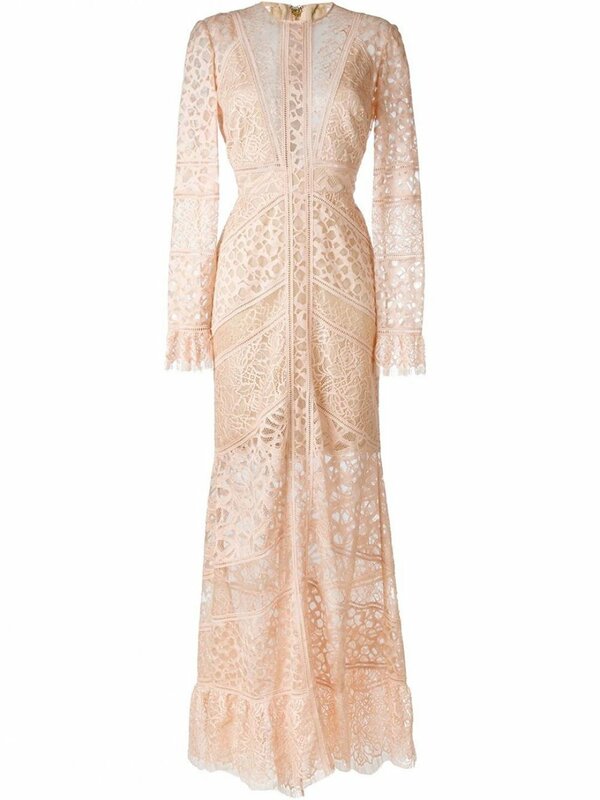 Typifying modern elegance, this Melrose silk-blend dress from Elie Saab is a sophisticated choice for evening occasions. Constructed with long sleeves, this lace design is cut to a fitted silhouette. Pair yours with a simple box clutch and pointed-toe stiletto heels.